Being gluten free, sugar free, preservative free, etc etc etc often feels like it ends up being taste free. Texture is often unpleasant and the final result is a really bad knock off from whatever original recipe from which it was fashioned. 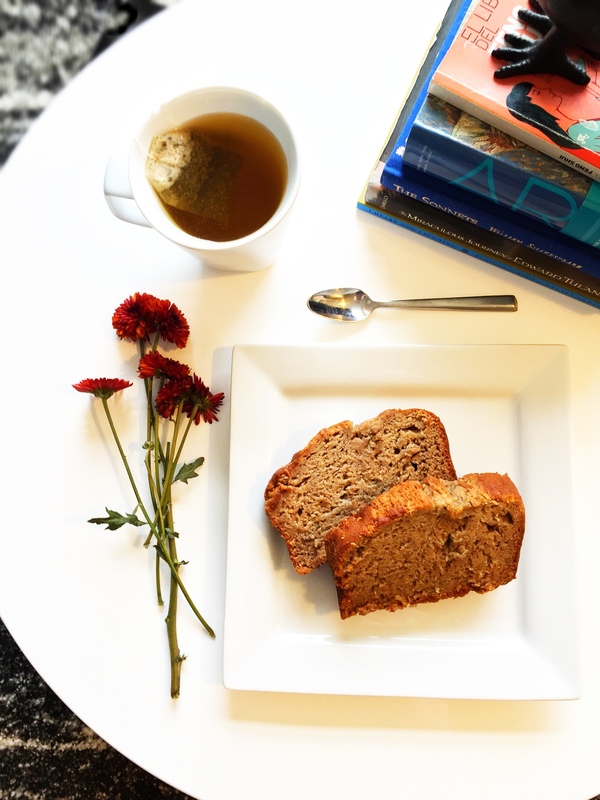 I don’t think clean eating has to come at that high of a price, especially when it comes to my gd beloved banana bread, so I experimented with a wide variety of recipes and altered them until I found a recipe that yields a moist, richly flavored banana bread. Best of all, it’s gluten free, sugar free, preservative free, etc etc etc…but not taste-free:) Another plus with this bread is that I tend to make it at the end of the week with whatever bananas are left over. 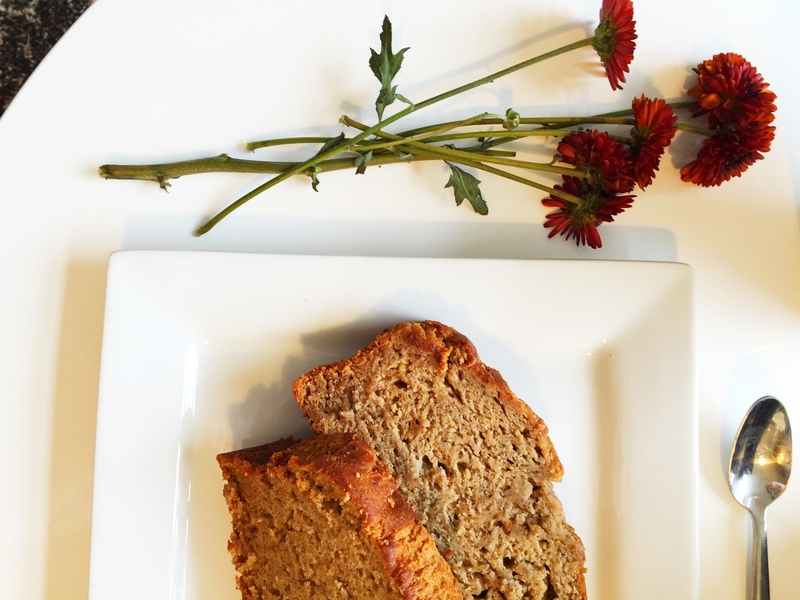 Whatever we haven’t used in our green smoothies don’t end up being wasted; instead, the perfectly ripe bananas go into this healthy, delicious bread. And the aroma that fills the house while it’s baking reminds me of cooking with my mother when I was little. 1. Mash bananas to a puree consistency. 2. Add eggs, vanilla, spices and oil/butter. 3. Slowly mix in dried ingredients and walnuts if you chose to add them. 4. Lightly brush a 9- by 5- by 3-inch loaf pan with coconut oil. Preheat the oven to 350 degrees F and bake for 55 minutes or until toothpick comes out clean. 5. 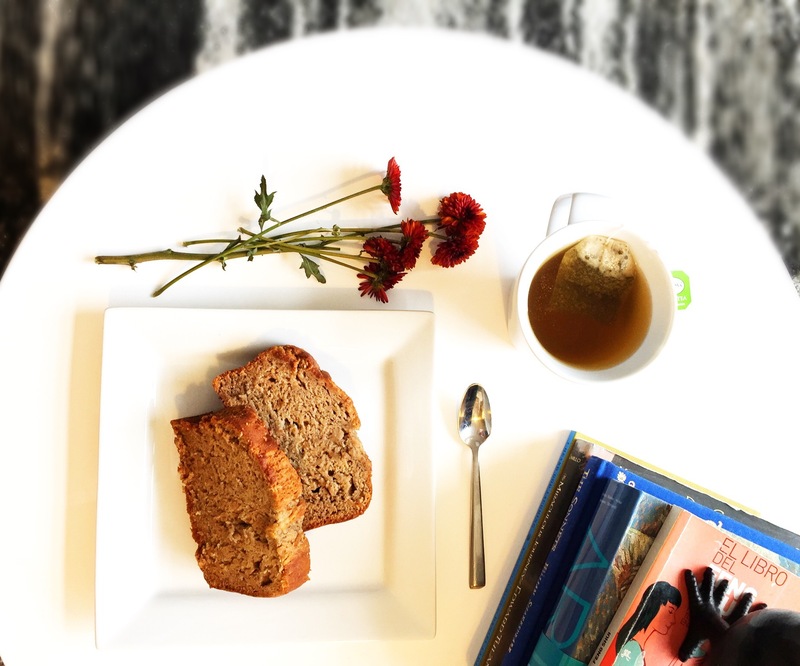 Let bread cool before serving and enjoy over a cup of tea and a good book! Looks so perfect, yum! And beautiful photos!